CTP has hired agency veteran Majja Dennis as managing director. Previous to joining CTP, Dennis was chief client officer and executive vice president of talent and development at Allen & Gerritsen and senior vice president at Hill Holliday. 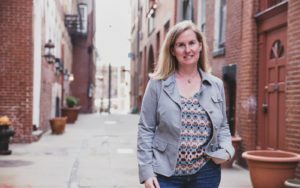 Throughout her career Dennis has worked on a number of leading brands, including Chili’s Grill & Bar, Liberty Mutual, Dell, Nestle, Kraft, Papa Gino’s/D’Angelo’s, Staples and Dunkin Donuts. The hire is the latest move in CTP’s continued growth. The agency recently won assignments with Wahlburgers, Titelist, Work ‘N Gear, UL, Pinnacle Golf, Actifio, Extreme Networks and Rockefeller Capital Management. CTP is also agency for the Boston Red Sox, Eastern Bank, Red Hat, Assembly Row and Save the Children. CTP is an independent, award-winning communications agency that unleashes the power of the human spirit to create and strengthen authentic relationships between brands and consumers. Fueled by data and analytics, CTP’s advertising, PR, digital and media teams develop and implement unique, cross-channel campaigns that engage and inspire, build loyalty and drive sales. Founded in 1996, CTP is based in Boston’s North End. Connect with us at ctpboston.com, @CTPBoston, and /CTPBoston.